Multi-walled carbon nanotubes (MWNTs) can be incorporated into conductive polymers to produce superior materials for neural interfaces with high interfacial areas, conductivity and electrochemical stability. This paper explores the addition of MWNTs to polypyrrole (PPy) through two methods, layering and codeposition. Conductivity of PPy doped with polystyrene sulfonate (PSS), a commonly used dopant, was improved by 50% when MWNTs were layered with PPy/PSS. The film electrochemical stability was improved from 38% activity to 66% activity after 400 cycles of oxidation and reduction. Growth inhibition assays indicated that MWNTs are not growth inhibitory. 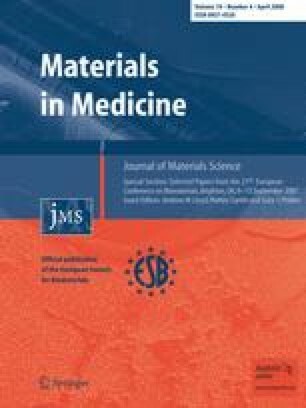 The electroactive polymer-MWNT composites produced demonstrate properties that suggest they are promising candidates for biomedical electrode coatings.